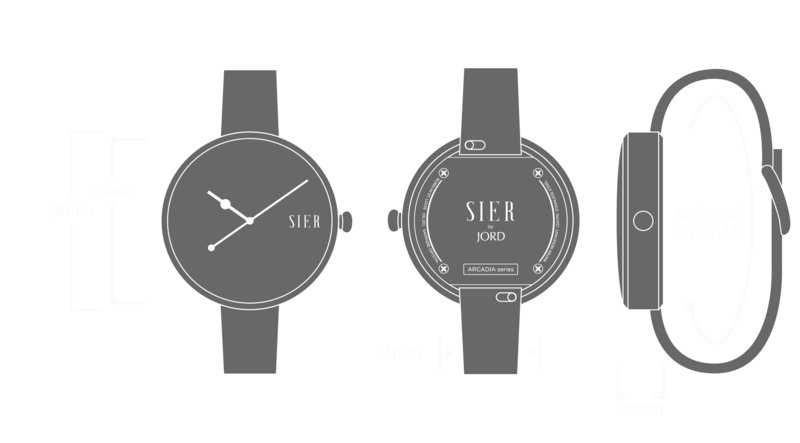 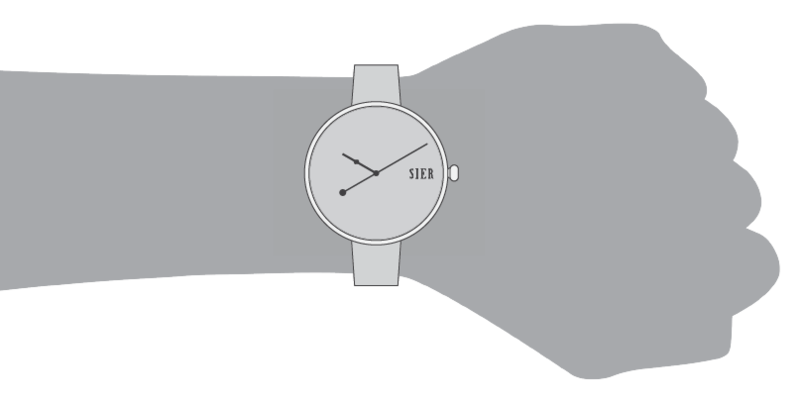 Classic minimalism designed for versatility The All new Sier Arcadia is an evolution in natural timepiece construction. 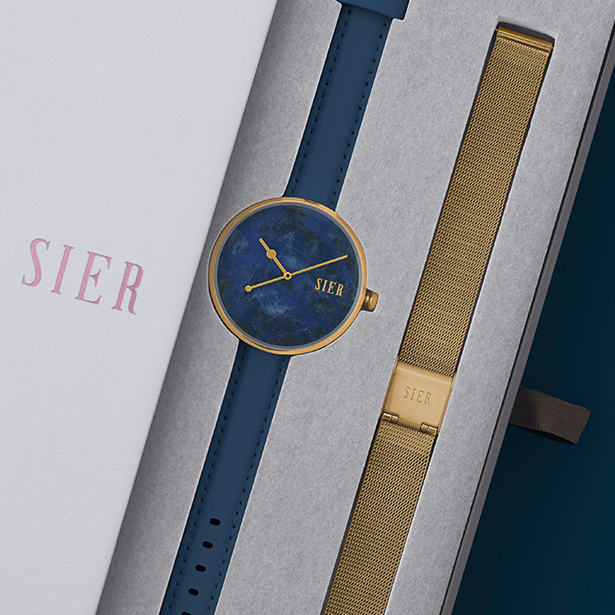 Clean lines and simple styling with a complex story. 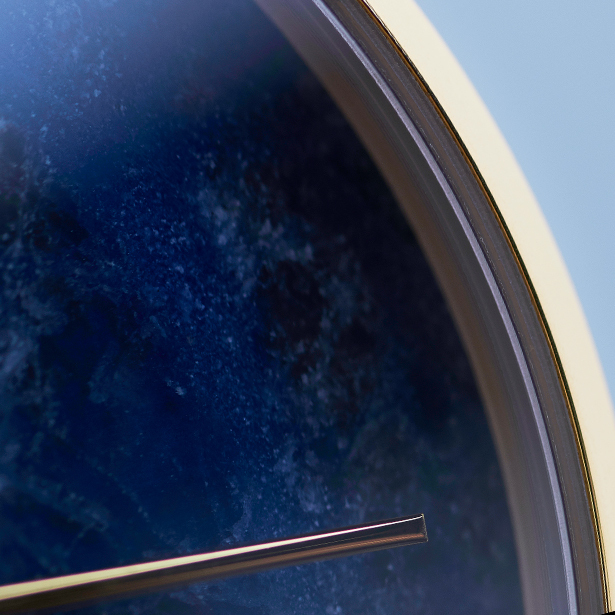 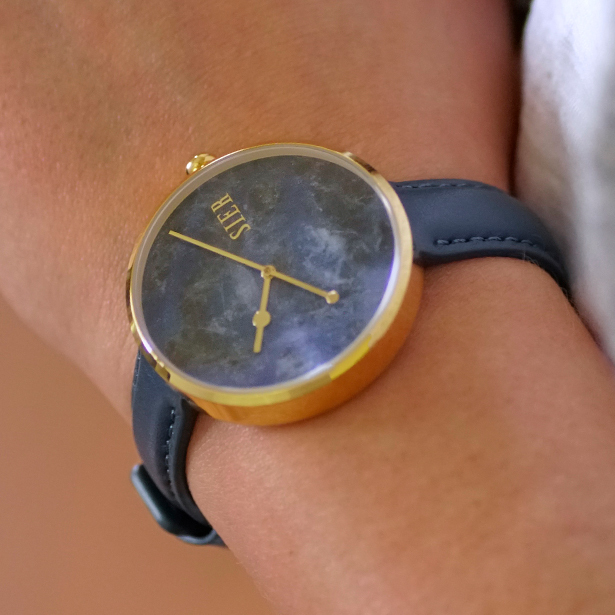 Each one of a kind watch dial is rough cut from sodalite and hand polished to a beautiful luster. 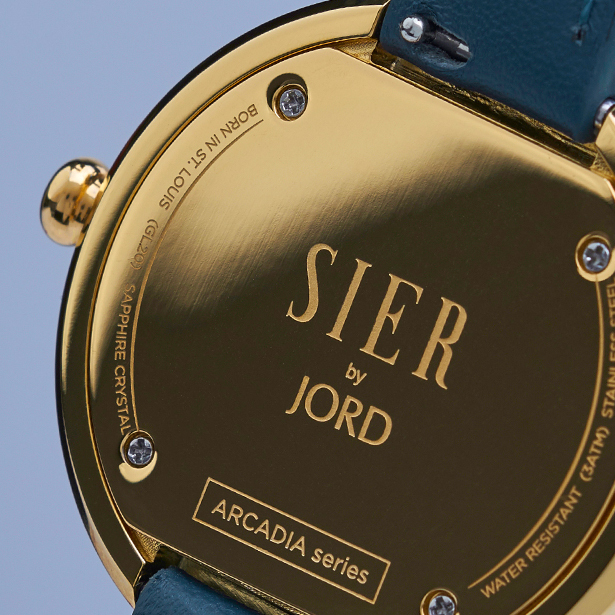 Complimented by interchangeable leather and metal mesh band, Arcadia was made to be worn at any occasion. 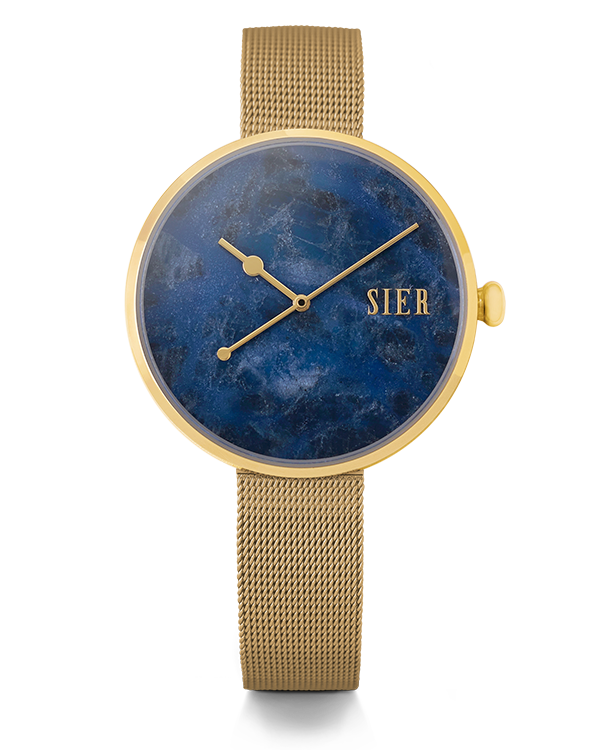 Your purchase of a SIER Arcadia timepiece includes a $60 replacement metal mesh band in Gold.  Bands can easily be swapped between leather and metal using our quick-release pin system (no tools required). 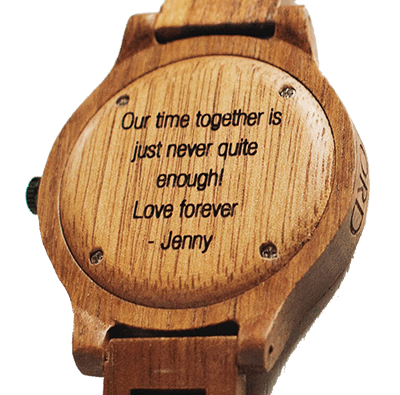 An elegant presentation coupled with an alternative metal band to your timepiece versatile for any outfit or occasion.